granite countertops come in so many colors and patterns that it can be difficult for a homeowner to find just the right one. After you make that decision, you will need to select the edge profile before finalizing your countertop order. 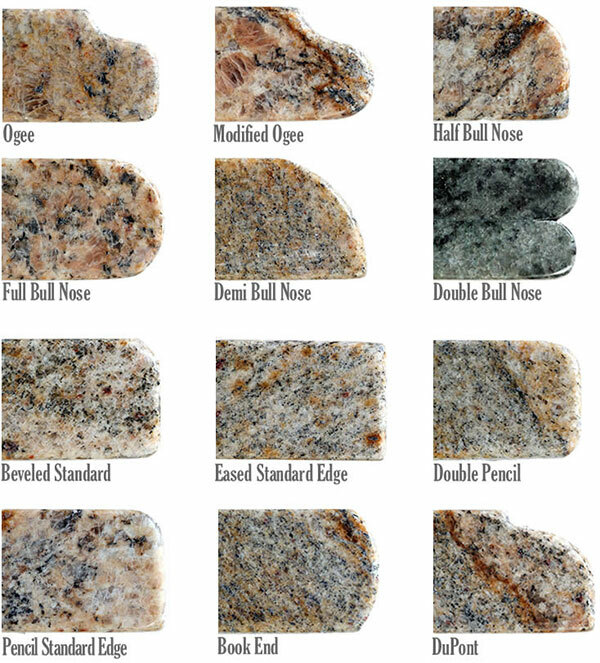 There are several granite edge options to choose. It all depends on the look you are going for and the room in which you want the countertops installed. Eased edge – This is a straight edge with slightly rounded corners. It is the most common option consumers select. Bevel edge – This profile offers a 45-degree bevel along the top with a slightly rounded corner on the bottom. Roman round edge – Instead of being straight, this profile offers a subtle arch that is perfect for a contemporary kitchen. Chiseled or rock edge – This edge is carefully chiseled out and has all projections smoothed for a finished appearance. This is great in outdoor spaces. Half-round – The top of this profile is deeply rounded with a slightly eased bottom corner. It’s perfect for areas that get a lot of wear and tear. Full bullnose – This profile is completely rounded from top to bottom. It works well in any space, but is popular for upper bars. Ogee – This is the second most popular choice behind the eased edge. This profile offers a concave arch at the top that eases towards the bottom where it becomes a convex. It looks almost like the letter S at an angle. Other ornate edges include the Elite and the Roman Elite, each with complex curving that offers a rich look to the countertop profile. The granite fabricator can stack or laminate two pieces of granite together along the edge to give granite countertops a deeper, rich look. With this depth of edge, it is possible to do very ornate cuts that combine two or more profiles from above.